A CIRCULAR SAW and straightedge cutting guide can be used for cross cuts, rip cuts, bevel cuts and miter cuts. THE VERSATILE JIG SAW (also called a saber saw) Is capable of making any cut. It excels at cutting curves and making Interior cutouts. A POWER MITER SAW is perfect for making repetitive cross cuts, including flittered or beveled cuts (bevels require a compound miter saw). 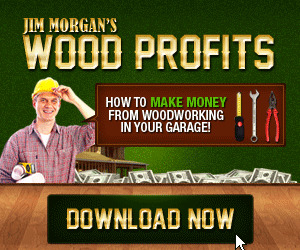 A TABLE SAW is ihe most heavily used toot In most woodshops. It can make just about any straight cut, including bevels and miters. 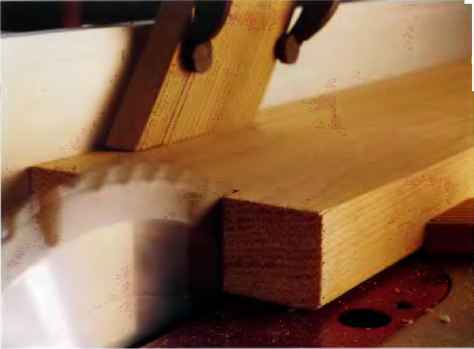 A ROUTER is used to make dadoes and rabbets as well as edge profiles. With special bits and accessories it can also be used for pattern cutting, circle cutting and many other cutting tasks. A SCROLL SAW Is a favorite tool for cutting Intricate curves and patterns. They are not powerful but are relatively easy to manage. Ripping boards to width should be done after one edge has been squared (see previous section) so a fíat even surface can ride against the saw fence or be used to register your straightedge for making rip cuts with hand-held toois.